A Consultancy Career – Why, How, When? Your guide to starting out as a consultant, and what you need to build a portfolio career. This interactive, free webinar session will take place on Thursday 25th of April at 10 am and will give you a clear insight into the art of networking and how it can unlock a multitude of opportunities when conducted well. The presentation will be led by Anne Watson, award-winning author and non-executive director and she will be joined by Naomi Coxwell, former Vice President of BP America and portfolio non-executive. This will then be followed by an informative Q&A between Anne and Naomi, where Naomi will discuss her transition to a non-executive career, experience on our Ahead of the Curve programme and how she’s managed to secure and excel in three different boardroom roles. The impending threat of Brexit has now become a core priority for many businesses, overtaking common boardroom issues such as competition, cybersecurity and staff development. Hosted by our Director of Business Services, Angela Cahill, this informative, complimentary webinar will highlight how businesses can effectively strengthen their boards and best prepare for Brexit. The session will also highlight the value that Non-Executive Directors can bring during periods of uncertainty and how an independent perspective can significantly benefit boards. In a 30 minute presentation by the Founder, followed by shared questions, you will find out about the market, technology, training, investment and ROI, and next steps if you wish to take any of the opportunities further. When applying for roles as a D-level or C-suite executive, many people pour all their energies into their CV and often end up neglecting their cover letter. No longer a mere formality, a stellar cover letter can, in fact, be the difference between success and rejection. Join our upcoming 45-minute webinar ‘How to Craft a Winning Cover Letter’ to get insight, tips and tools to ensure recruiters will be placing you on the interview list. The session will be hosted by our CV Specialist, Brendan Gurrie, who has helped to expertly craft bespoke cover letters for hundreds of In Touch members. Brendan will explore how a great cover letter should complement your tailored CV. It must both pique a recruiter’s interest and adds an extra dimension to your resume. During the webinar, Brendan will share his expert knowledge, looking at the dos and don’ts of cover letter writing, revealing the common mistakes many people make and explaining how to ensure you maximise the potential of your one-page pitch. There will also be the opportunity to ask any outstanding questions you may have during a 15 minute Q&A session at the end of the presentation. The sale of a business is often the most important ‘transaction’ a business owner will make in their lifetime. The process itself requires a high level of competence and absolute focus. Therefore, being prepared and understanding the process is invaluable and should never be underestimated. Find out what you can do now to help you and your board be both prepared and educated ahead of an exit. •Agreeing on shareholder objectives – what should be considered? •What sales documentation will be required? The webinar will be hosted by Paul Herman, CEO and Founder of Bluebox Corporate Finance. Paul has sold over 70 private businesses during his career, with values ranging between £2m and £200m, and across a wide range of sectors. This includes a number of well-respected UK businesses such as Models Own, Gü, Princess Yachts, Mappin & Webb, Smythson, Watches of Switzerland, TXM Plant and The British Retail Consortium. In the current challenging economic climate, most organisations are constantly battling with the desire to drive growth and profitability, while ensuring that they are investing in the right technology and getting value for money from their suppliers. Yet, few organisations have the right people, tools or knowledge to effectively identify and deliver business efficiencies - releasing hidden profit that can be reallocated to drive growth. Auditel is currently looking to expand our network of consultants and we are looking for business professionals how are looking to develop a new career or add additional services and income streams to their current business. Founded in 1994, the Auditel consultancy service was pioneered to help UK organisations make effective and informed procurement decisions. Auditel Consultants work closely alongside FDs, CEOs and business owners throughout the UK as a trusted business advisor, helping them to drive change within their supply chain to increase profitability, competitiveness and growth. With the UK firmly embedded into the 4th Industrial Revolution, in which disruptive technologies and trends such as; the Internet of Things, Robotics, Virtual Reality and Artificial Intelligence are changing the way we live and work - there has never been a more important time for organisations to innovate within their supply chain. Hacking off the hackers – it is one thing having hackers break into your computer or network, it a is another when they steal your own data to misuse against you. This session will demonstrate how Cubeitz uses the highest standards to protect and remove the stresses of becoming another hacking statistic! Cubeitz - Gives you complete peace of mind by providing secure storage, management and sharing of data with unparalleled levels of protection – enabling GDPR compliance. Introduction into Catax’s three services; Research & Development, Capital Allowances and the Patent Box tax reliefs, and explaining how they can help businesses provide new revenue streams for investing in innovation. When it comes to selling a business, preparation is key. We’d be delighted for you to join our webinar as we delve into how to prepare a business for sale to maximise value and achieve the highest possible return. Find out what you can do now to help you and your board prepare for an exit. •Is your board ready to sell? •Why do most business sale processes collapse? •What will an acquirer attribute value to? •How will acquirers value the business? •What is due diligence and how can you help a board to prepare? When applying for roles as a D-level or C-suite executive, a polished CV and strong reference won't always mean you will be shortlisted for interview. You may be convinced that you have what it takes to do the job well, but if you end up making common application errors then you may end up at the bottom of the pile. - What are you actually applying for? How can you proceed when you don’t know? - What is the maximum number of daily applications? - Cover letter - what are you are actually trying to say? Over the past few weeks, I'm sure you will have seen emails and updates across social media about us rebranding on Monday 3rd December. Along with our rebrand, we are also revamping the portal and adding some great new features to it. I outlined some of these features in my previous email, but we want to ensure you know exactly what they are and how best to use the new and improved portal. Therefore, on Wednesday 5th December, we will be delivering our 'Why have we rebranded?' webinar to explain why we have merged all of our networks, what has changed on the portal, the benefits of the new portal features and how you can actually use them. Eleanor Johnson, a senior member of our customer care team, and I will deliver a presentation of all the new changes, followed by a live walkthrough of the new tools, such as our 'Ask an Expert' feature, to-do list and star rating. There will also be the opportunity to ask our team questions during a 15 minute Q&A session at the end of the presentation. 10. What should your organisation be doing now? Alla has provided legal support to businesses on various areas of law and has broad UK based international experience in all types of legal matters concerning a particular business, with more in-depth experience in commercial / business law. How often have you heard senior executives state that “nothing is more important to us than our customers” or “customer satisfaction is our number one priority”? And how often have you found that there’s a yawning gap between these stated priorities of the business and the experience delivered to the customer? According to research company Forrester, “84% of companies aspire to be customer experience (CX) leaders, but only 1 out of 5 deliver good or great CX.” Yet, there are many examples of companies delivering outstanding success by having a clear focus on their customers’ needs and wants and providing a superior experience to deliver those needs and wants. As Non-Executive Directors or Consultants, we have a duty to ensure that businesses we work with deliver a great result for their customers, people and shareholders. We can do this by bringing the customers’ needs and experience more powerfully into the boardroom. Drawing on his many years of experience in developing strategies for companies to help them improve their customer experience, Nick Bush will illustrate the importance of genuine customer-centricity to business success and give you some tips to be an effective champion of customer experience in the boardroom. Our latest webinar, ‘The power and influence of a Non-Executive Director' is brought to you by Amanda Clarke, Director of Curriculum Development at In Touch Networks. During the 30-minute session, Amanda will interview Ray Warren and explore his thoughts on the skills and gravitas required to be an influential independent board director. The focus of the discussion will be around, understanding the value an independent director can bring and how you can use that to become even more influential in the boardroom. 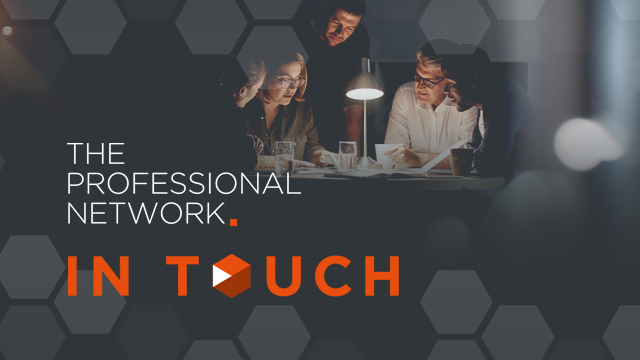 Amanda will also discuss In Touch Networks new webinar series: 'Power to Influence: A Non Executive Director's perspective' which launches on the 17th October. The landscape around tax and employment status is rapidly changing, with huge implications for independent professionals and the self-employed. Possible changes to IR35 in the private sector are worrying many, while the government is considering radical changes to the employment status framework following the Taylor Review. While all this is going on, courts are continuing to make new case law with crucial judgements on Uber, the BBC and Pimlico Plumbers. IPSE’s policy team will give you the latest update on this far-changing area, and analyse what the implications are for the UK’s 4.8 million self-employed as well as our broader flexible labour market. Our latest webinar, ‘Why Executive Coaching May Work for You’ is brought to you by Amanda Clarke, Director of Curriculum Development at In Touch Networks. -What are the latest coaching trends? -The Power of Coaching; who hires a coach and why? David Marsh is an In Touch Networks consultant and also a director of OFG Limited, which has invested more than 4,000 hours of research and worked with more than 2,500 organisations (including the ICO regulator) implementing GDPR best practice. This will be your opportunity to ask your questions and discover how you can help your business as well as your clients business in becoming GDPR ready. Join us for a special update on this Springs tax changes! Following on from our successful event, Becoming a Consultant: Where to Begin, Niall Foster will be taking you through the next stage of becoming a successful consultant. Content for senior executives and professionals, and members of In Touch Networks platforms. Title: A Consultancy Career – Why, How, When?